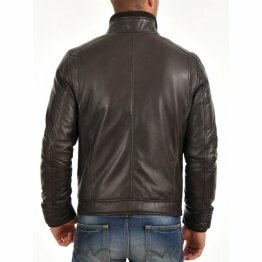 leather jackets for men at best affordable prices you looking? 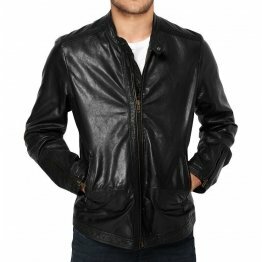 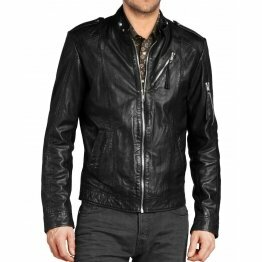 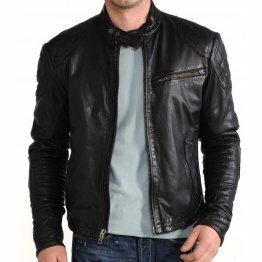 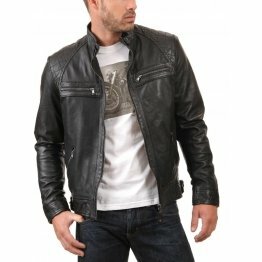 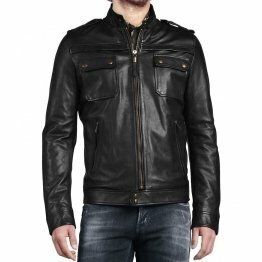 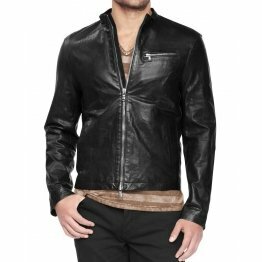 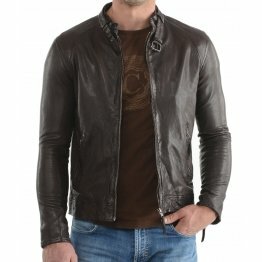 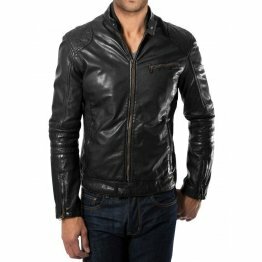 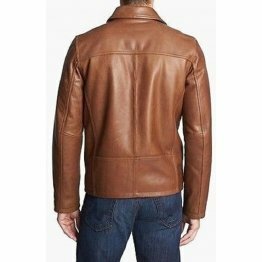 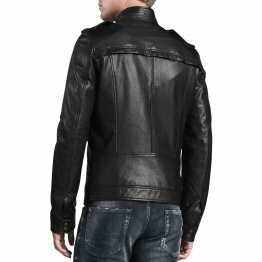 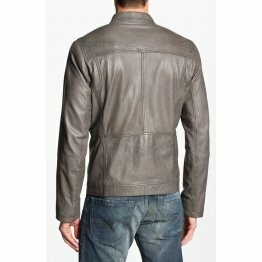 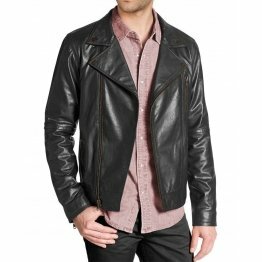 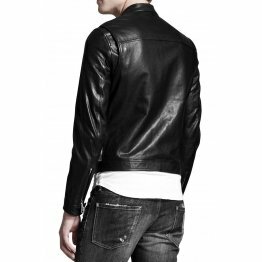 ZippiLeather men’s clothing store selling high quality leather jackets at affordable prices. 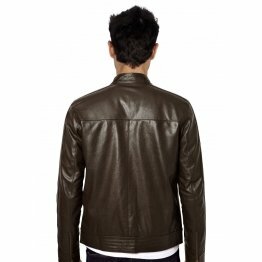 There is a basic bomber jacket with a hood which is quite casual and looks perfect for summer months. 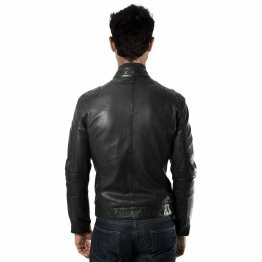 It is available in black and navy blue with a sweatshirt fixed in the interior. 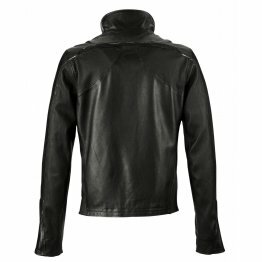 The hood has an adjustable cord. 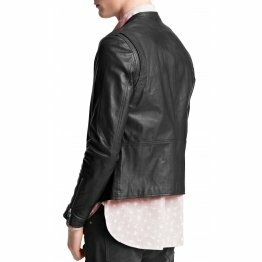 The jacket has a full zip closure in front with bias-cut pockets with stud press and the sleeve has a pocket with zip. 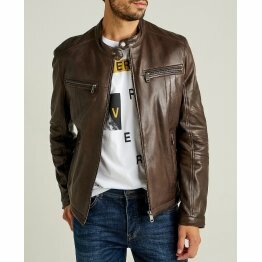 There are leather jacket men's that are eye-catching and will make you feel fabulous as you get ready in your blue jeans, white printed T-shirt and a hooded jacket on your way to college. 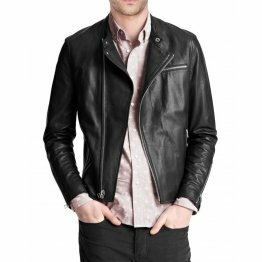 When you wear a leather jacket from ZippiLeather and team it up with a messenger bag for your books you will definitely be the undergraduate who is best dressed on the campus. 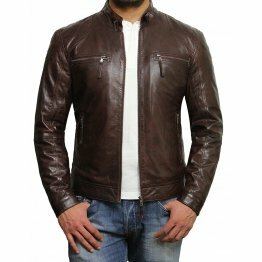 There is a wide choice of leather jacket men which are padded and you can browse online and choose one that meets your style and will also keep your warm. 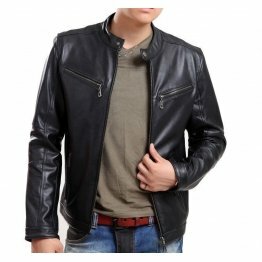 There are impressive designs and styles from leading brands in leather jackets from which you can pick up a coffee brown leather jacket and wear it with your black jeans and green polo T-shirt and present a handsome picture. 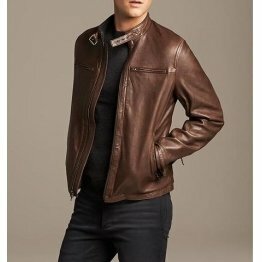 The burgundy biker jacket is woven with rivet detail, mock collar,loop, button and tab on the shoulder and long sleeves. 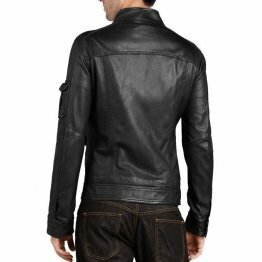 Custom motorcycle jackets are provided with a full zip closure which is asymmetrical, three zip pockets and short zip closures on the hem. 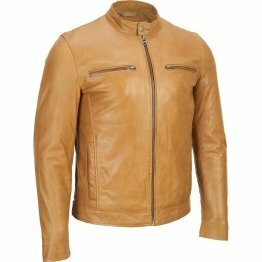 It is crafted with attached lining with pocket. 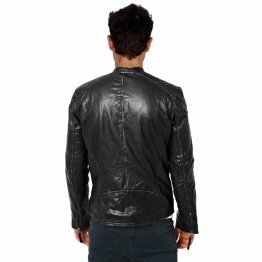 The shell is 100% leather and the lining is 100% polyester and has to be dry cleaned. 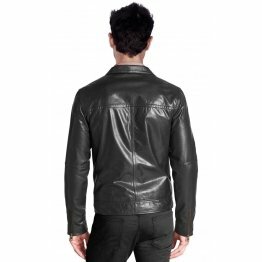 The jacket is slim fit and will be shipped free of cost. 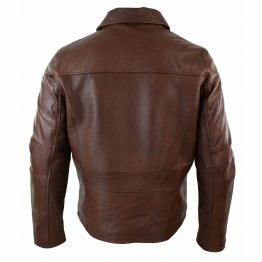 It is also available in brown, wine- color, red, grey, black and many other colors. 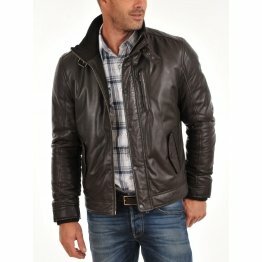 You can go through the large collection of leather jacket men in different styles and patterns to blend with your outfit. 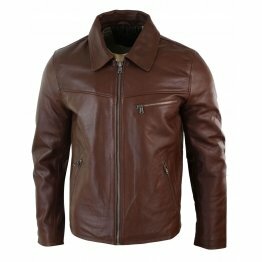 With winter fast approaching it is time to get some classy and warm leather jackets. 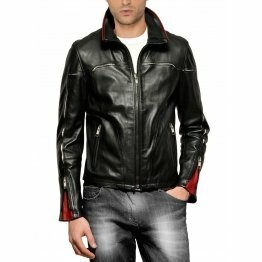 They have many designs and styles in different fabrics and leather. 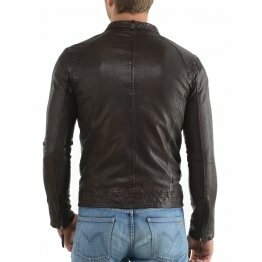 There is also a wide range of colors from tan brown to black which never goes out of vogue. 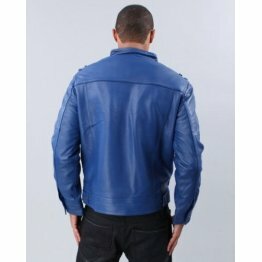 If you like to be different from the rest you can try the blue and green shades in leather. 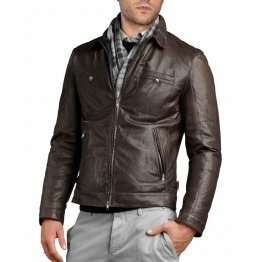 There are four designs in leather jacket men's from which you can choose the one best suited to your taste. 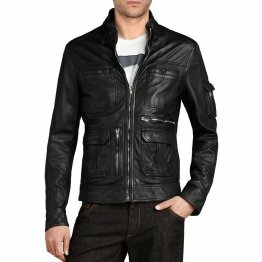 There is the double rider jacket which is from the times of the Wild West, then there is the racer jacket which is simple and basic with a central zipper which is actually designed for bike racers and the last one is the bomber jacket which was used by pilots at high altitudes which is now a craze among the young men. 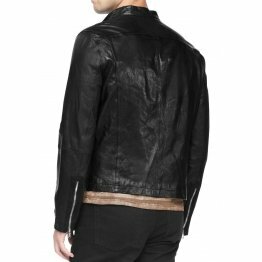 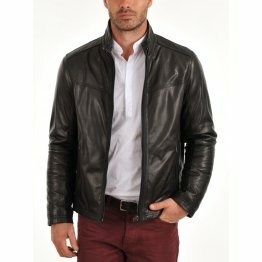 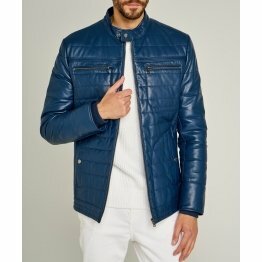 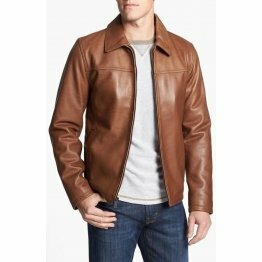 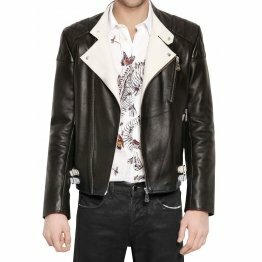 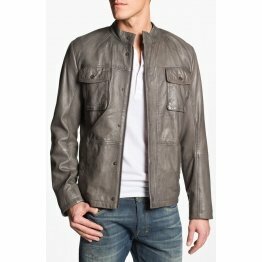 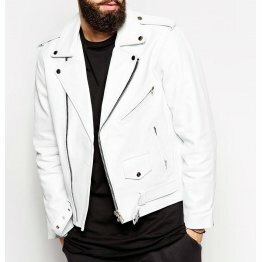 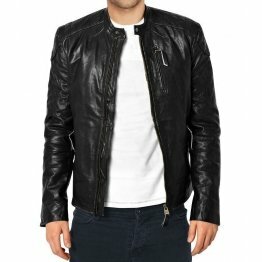 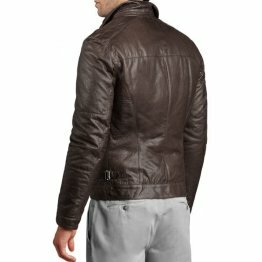 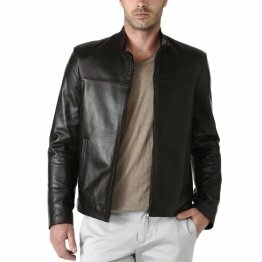 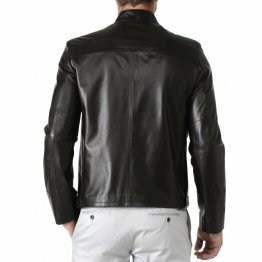 Who Makes Fitted Men's Leather Jacket? 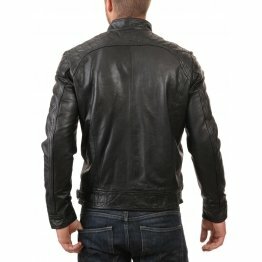 ZippiLeather has men’s leather jackets in different styles and designs. 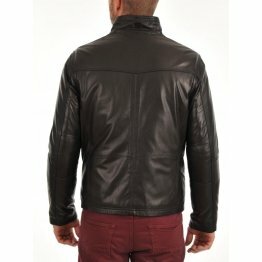 One is a black woven jacket with a mock collar. 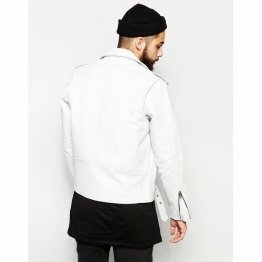 On the shoulder is a loop with a press tab. 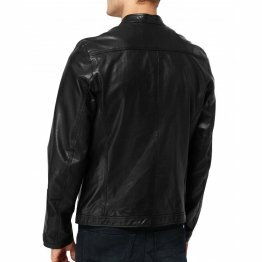 The jacket has long sleeves enhanced with zip detail at the hem. 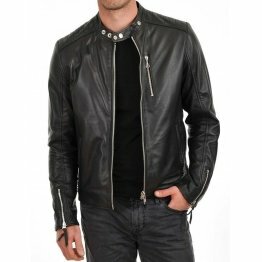 Leather jacket men has a full zip closure in front. 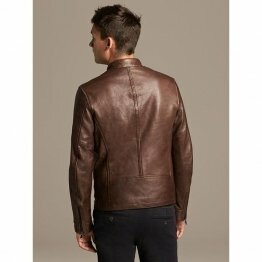 On either side of the chest is a patch pocket with inverted pleat and a flap and press button closure. 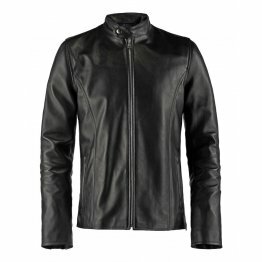 In front on either side is an insert pocket with zip closure. 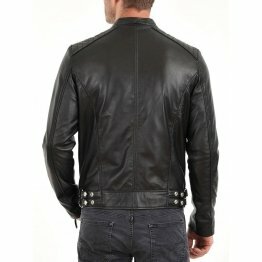 On either side of the hem is a tab and buckle detail. 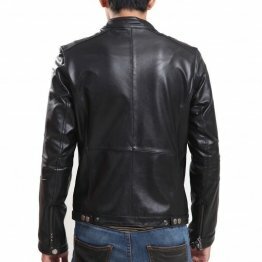 There is a welt pocket on the left side of inner lining and stitched detail and paneling right through. 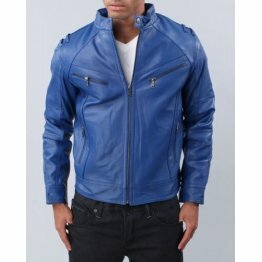 Custom leather jackets are available in different colors and designs. 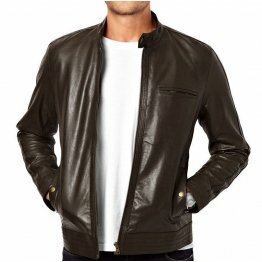 Men’s biker jackets are usually in brown,blue, grey, black and red while women’s biker jackets are pink, white, yellow, green and black. 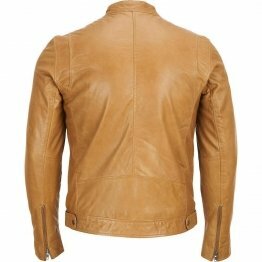 Some of the men’s jackets are suede which they use both for formal and casual occasions. 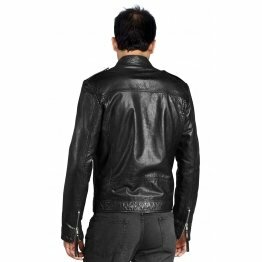 The leather suit jackets usually compliment their chap pants, riding pants and trousers. 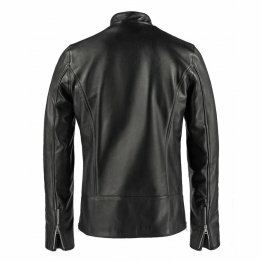 Motor cycle riders also use boots to match their riding gear. 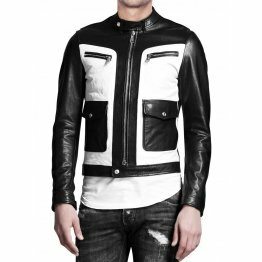 So if you are deciding to join the trendy set on the bike buy riding pants or jeans, white T-shirt and leather jacket mens in black which is ideal for all seasons.